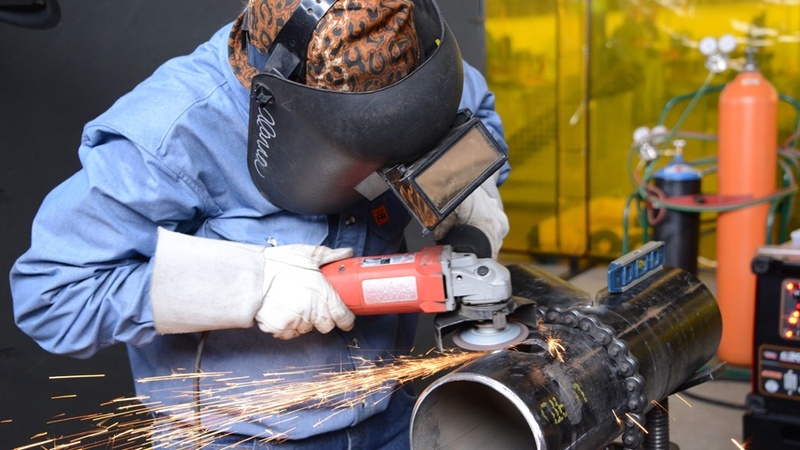 A career in the pipe trades holds many pathways within the following fields: Pipefitter, Welder, Plumber, Sprinkler Fitter and Heating, Ventilating, Air Conditioning and Refrigeration (HVAC-R) Service Technician. Take a second to learn about the incredible opportunities within the pipe trades. [fa icon="plus-square"] What is a Pipefitter? Pipefitters and steamfitters fabricate, assemble, install, maintain and repair piping systems that transport all types of fluids, slurries and gases in the residential, commercial and industrial sectors. Their work can be seen in oil refineries, paper mills, nuclear power plants, manufacturing plants and in the automotive industry. Steamfitters and pipefitters often work on high-pressure and high-temperature systems, requiring a thorough knowledge of scientific principles to complete the work safely. They learn their trade through a registered apprenticeship program that is usually cost-free to the student. The minimum age to become a pipefitter-steamfitter is 18. Typically, a high school diploma or equivalent is required to begin your apprenticeship and career in the trade. Most states and localities also require fitters to be licensed. Learn more about a career in PIPEFITTING! Your FUTURE begins today! Fill out the form and we will send you information about apprenticeship opportunities! [fa icon="plus-square"] What is a Welder? Welders are found on almost every construction jobsite in North America. These skilled workers cut and join a variety of materials, from steel, cast iron and plastic to complex and specialized products used on projects ranging from pipelines and power plants to pharmaceutical and computer chip factories. 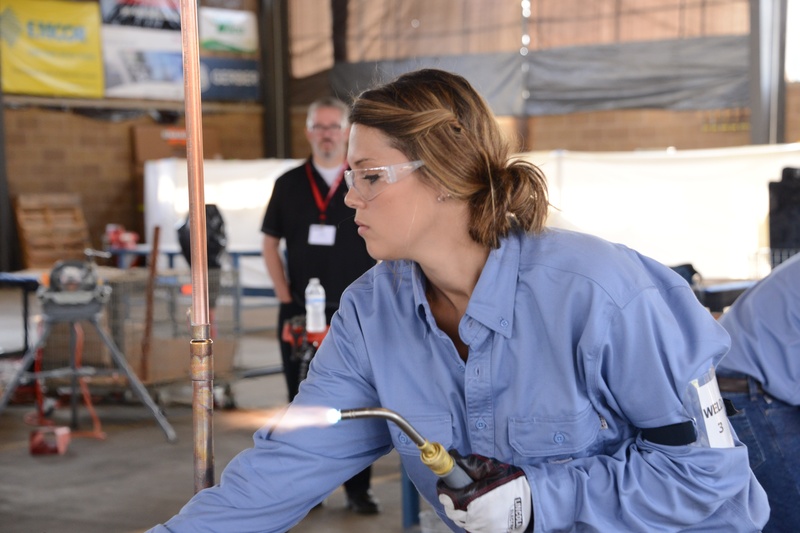 Multiple studies have estimated there will be a shortage of skilled and certified welders in North America that could number in the hundreds of thousands. Now is the time to acquire these critical skills. Welders learn their trade through a registered apprenticeship program that is usually cost-free to the student. The minimum age to become a welder is 18. Typically, a high school diploma or equivalent is required to begin your apprenticeship and career in the trade. Most states and localities also require welders to be licensed. Learn more about a career in WELDING! [fa icon="plus-square"] What is a Plumber? Plumbers perform work essential to the health and safety of our citizens. Plumbers install drinking water, waste and ventilating systems, as well as wastewater treatment systems large and small, in homes, offices, schools, hospitals and manufacturing facilities. With a growing focus on green technologies, water conservation and energy efficiency, the demand for plumbers will increase significantly in the years ahead. Plumbers learn their trade through a registered apprenticeship program that is usually cost-free to the student. The minimum age to become a plumber is 18. Typically, a high school diploma or equivalent is required to begin your apprenticeship and career in the trade. Most states and localities also require plumbers to be licensed. Learn more about a career in PLUMBING! [fa icon="plus-square"] What is a Sprinkler Fitter? Sprinkler fitters install life- and property-saving fire protection systems in homes, schools, hospitals, office buildings, hotels and more. There will be more calls for the installation of these systems in new construction, as well as retrofitting of existing structures, when new legislation and code changes are implemented, and as more people become aware of the difference these life-saving and property-protecting systems make. Sprinkler fitters learn their trade through a registered apprenticeship program that is usually cost-free to the student. The minimum age to become a sprinkler fitter is 18. Typically, a high school diploma or equivalent is required to begin your apprenticeship and career in the trade. Most states and localities also require sprinkler fitters to be licensed. Learn more about a career in SPRINKLER FITTING! [fa icon="plus-square"] What is an HVAC-R Service Technician? Heating, ventilating, air conditioning and refrigeration (HVAC-R) service technicians install, maintain and repair plumbing, heating, ventilating, air conditioning and refrigeration systems in the residential, commercial and industrial sectors. Their work is to improve the U.S.’s national goal of improving energy efficiency. The demand for this expertise is predicted to grow by more than 30 percent in the next several years. HVAC-R service technicians learn their trade through a registered apprenticeship program that is usually cost-free to the student. The minimum age to become an HVACR service tech is 18. Typically, a high school diploma or equivalent is required to begin your apprenticeship and career in the trade. Most states and localities also require HVAC-R service techs to be licensed. Learn more about a career in HVACR! Your FUTURE begins today! Fill out the form and the we will send you information about apprenticeship opportunities! Learn more about a career as a Plumber, Fitter and Welder and HVAC-R Service Tech!